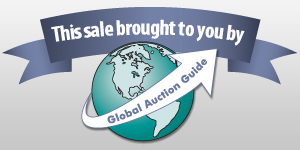 TERMS AND CONDITIONS OF AUCTIONOnline Only Auction (ie Internet Auction) - The auction and the bidding shall begin on Wednesday, April 10th at 10 am CST and begin closing on Monday, April 15th at 2 pm CDST. Bid at www.MissouriLandAndHome.com. It is recommended to all bidders to inspect the property prior to placing any bids in the auction. Property inspections are the responsibility of the bidders. Informational title work will be available online by April 2nd. By participating in this auction, bidders hereby agree that their bid shall NOT BE SUBJECT to the bidders? ability to obtain financing. By placing a bid in this auction, bidders are making a ?cash offer? to purchase the property. Financing is NOT a contingency in the purchase agreement. Winning bidder hereby agrees to enter into a Contract to Purchase the property within 24 hours of being declared the Successful Bidder by the Auctioneer. Upon the close of the auction, the winning bidder will be forwarded via email or fax a Contract to Purchase the property. A signed copy of the contract must be received by United Country Missouri Land & Home within 24 hours of the end of the auction.An escrow deposit of Ten Percent (10%) of the total contract purchase price must be received by Preferred Land Title, Wright City, MO within 48 hours of the close of the auction. Acceptable forms of payment include cashier?s check, personal or corporate check or wire transfer. The balance will be due in full at closing. Closing shall be on or by Tuesday, April 30, 2019, at Preferred Land Title, 95 Wildcat Dr #500, Wright City, MO. Out of area buyers will be afforded the opportunity to close via email, mail and wire transfer of certified funds. Closing costs will be split equally between Buyer and Seller.Title Insurance in the full amount of the purchase price will be provided by the seller. 2019 Real Estate Taxes will be prorated to date of closing. Under no circumstances shall Bidder have any kind of claim against United Country Missouri Land & Home if the Internet service fails to work correctly before or during the auction. Online bidding is subject to technology faults and issues which are outside the control of the auction company. All information provided is believed to be accurate; however, no liability for its accuracy, errors or omissions is assumed. All lines drawn on maps, photographs, etc. are approximate. Buyers should verify the information to their satisfaction. Information is subject to change without notice. Real estate is being sold ?As-Is-Where-Is? with NO warranties expressed or implied. Please make all inspections and have financing arranged prior to the end of bidding. The property is being sold subject to all easements, covenants, conditions, zoning and any other existing matters. Please call if you have any questions regarding the restrictions on this property. Announcement:Information contained herein is presented on behalf of the seller. United Country Missouri Land And Home, agent for the seller, cannot guarantee the information to be correct or assume the liabilities for errors and omissions. All lines drawn on maps are approximate. Buyers should verify the information to their own satisfaction. Any announcements made from the auction block on day of auction will take precedence over any matter of print and will be final.